The healthcare industry boasts some of the most advanced technologies, such as MRI machines, 3D fetal imaging, laser guided cancer treatments, just to name a few. Selfie Medicine Is a Thing, But Should It Be? Some doctors now require patients to record a video of themselves taking their pills for the sake of proving medication adherence. One telehealth expert has concerns about this practice and doesn't see it sticking. At a time when taking and sharing selfie photos and videos have become commonplace, it's no surprise that someone would come up with the idea of "selfie medicine." 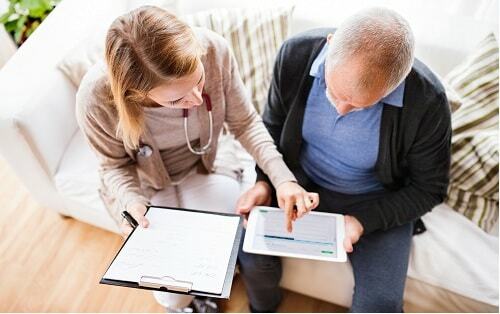 On July 10, 2018, Progressive Care, a personalized healthcare services and technology company, announced its new proprietary patient engagement program, DischargeRX. The program will provide hospitals with support in preventing medication-related hospital readmissions through Progressive Care’s wholly owned subsidiaries, including PharmCo, a health-services organization that offers administration and practice management as well as prescription pharmaceuticals to long-term care facilities. According to a 2017 study published in theJournal of the American Pharmacists Association, up to 26% of hospital readmissions are medication-related. The program will provide hospitals access to a PharmCo representative who will offer a medication-related consultation and services throughout the patient’s transitional process at no cost to the hospital or patient, according to Progressive Care.